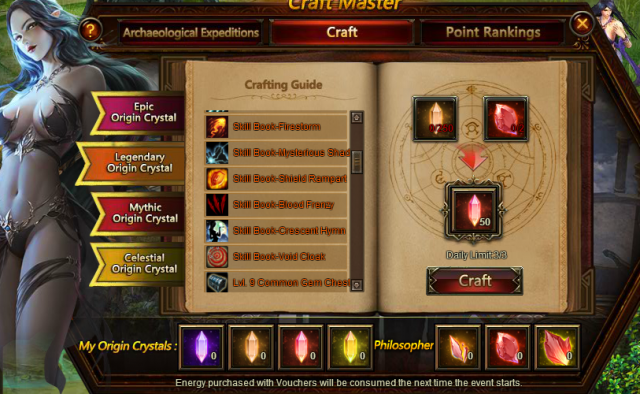 After collecting specified materials, you can craft certain items, including Divine Blessing Stone, Rare Flaming Stone, Adv. Soulstone, Lilac Stone, Mythic Divine Stone, Elena's Icon Shard, Servant's Outfit shard, Lover's Reunited, Element Crystal, Element Scroll, Magic Socketing Rod, Awakening Stone, Lvl.9 Fusion Gem Chest, Lvl. 10 Cherubstone, Lvl. 11 Agility Gem, Lvl. 11 MATK+CRIT Gem, Lvl. 11 PATK+HIT Gem, Lvl. 12 HP+PATK Gem, Lvl. 12 Agility+Hit Gem and etc. 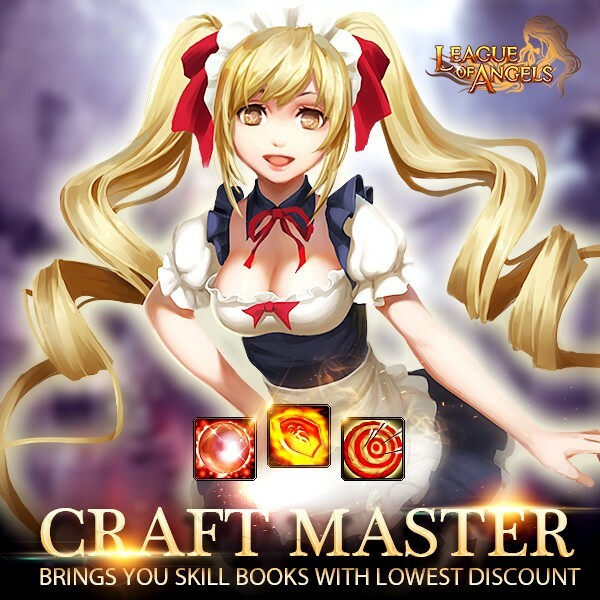 This time Craft Master brings you many skill books with lower discount than before, such as Skill Book-Void Cloak, Skill Book- Shield Rampart, Skill Book-Star Splendor, Skill Book- Mysterious Shandow, Skill Book- Abyssal Gaze, Skill Book- Blood Frenzy, Skill Book-Thunder Storm, Skill Book-Demon Chant, Skill Book-Thunder Strike, Skill Book-Swift Blade, Skill Book-Radiant Guidance, Skill Book-Divine Light, Skill Book-Dragon Fury, Skill Book-Firestorm, Skill Book-Elemental Barrier, Skill Book-Divine Wrathstrike, Skill Book-Eternal Rampart; And other resources such as Runestone, Seraph't Stone, Angel Tears, Lilac Stone, Grotto Heart and more! 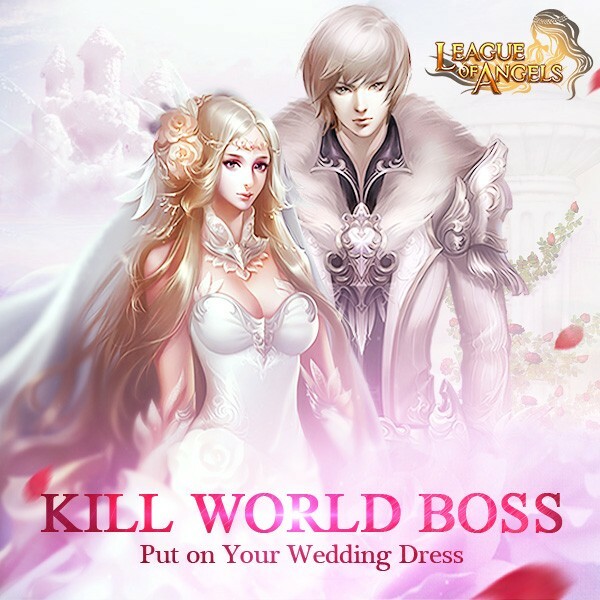 Possible Prize: Wedding Garb, Card Lotto Vouchers, Capsule Coin, Seraph's Stone, Element Scroll, Soulstone, Blessed Stone and Vouchers. More exciting events are coming up through Nov 21 to Nov 24 (Server Time), check them out in the in-game Hot Events menu now! LoA_Lucky Tree: Summon New Sylph Shadow Thorn!